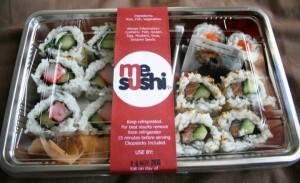 MeSushi – now delivering on Thursdays as well as Fridays! 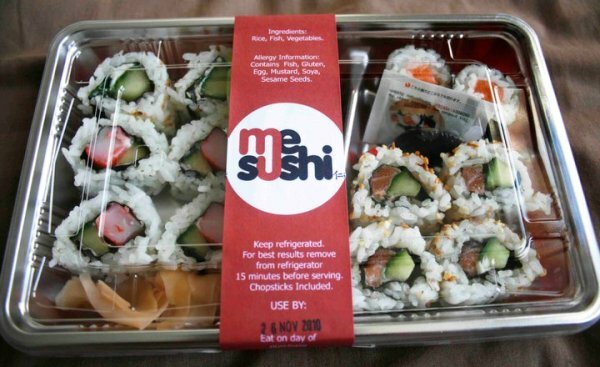 Great news for sushi lovers – having previously only offered Friday deliveries, Bristol-based company MeSushi are now also offering fresh sushi deliveries between 11am and 7pm on Thursdays. MeSushi offer sushi delivery to your door – simply order online, by phone/text or by email. Ordering in advance is recommended, as sushi is freshly made on the day of delivery and stock runs down quickly! Choose from a selection of sushi boxes, starting at a bargain £3.80 for 8 pieces, or sushi platters which feed between two and four people. Delivery is free, with delivery times on Thursdays and Fridays between 11am and 7pm – check that your postcode is served by MeSushi on the website before ordering! It’s a great concept, at value for money prices. I’ll be ordering soon to check them out!